Persecution Suffered: Detention, forced labor, forced labor reform, beatings, torture, electric shock. 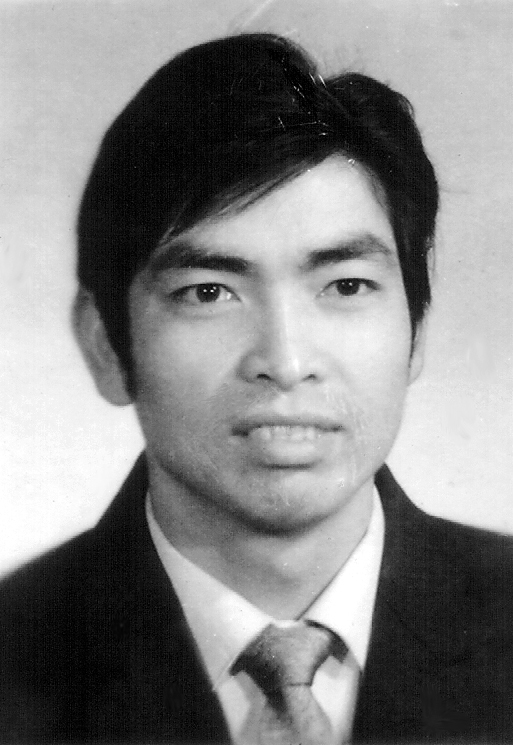 Lu Xingguo became a Falun Gong practitioner in 1996. He was persecuted since the persecution against Falun Gong started in 1999. He organized and participated in a practitioner experience sharing conference of about 60 people in October 1999, but was reported to the 610 Office in the New District of Pudong, Shanghai. He was arrested by 610 Office agents and then detained at the New District Detention Center for 15 days. Lu Xingguo was arrested again in 2000 for organizing a Fa study and experience sharing conference for practitioners. He was forced to conduct heavy labor work at the Sunqiao Detention Center in the New District of Pudong for one month. In late March 2000, Lu Xingguo was arrested again while he was distributing Falun Gong informational materials. He was imprisoned at the No. 1 Forced Labor Camp in Dafeng, Shanghai for eighteen months. During his imprisonment, Mr. Lu was physically and mentally tortured, and forced to perform heavy labor for long periods of time every day. His left foot was injured severely, and the guards threatened that he would be sent to a forced labor camp in the Northwest if he refused to renounced his practice of Falun Gong. But Lu Xingguo maintained his belief. In September 2001, the labor camp released Lu Xingguo according to his sentence, but he was continually watched and persecuted by local 610 Office agents and Chinese Communist Party (CCP) members when he returned home. On May 12, 2003, Lu Xingguo was again taken into custody by the 610 Office of New District, Pudong. This time he was sent to the No. 3 Forced Labor Camp in Qingpu District, Shanghai. Mr. Lu was moved from a different group to the one that focused on persecuting Falun Gong practitioners on March 13, 2003. He was put in Cell 109. Once Lu Xingguo arrived there, warden Xiang Jianzhong convinced inmates to beat him and torture him with the tiger bench. Lu Xingguo's painful screams could be heard from outside the cell. The perpetrating inmates demanded that he give up his belief in Falun Gong, but he refused. Therefore, Lu Xingguo was tortured brutally for two consecutive days. In the end, he was unable to stand and walk due to severe leg injury. Later, Xiang Jianzhong went to Cell 109 to torture Lu Xingguo. When Lu Xingguo appealed about the torture, Xiang Jianzhong incited the inmates (one of them was Zhang Min) to intensify the torture. They set up a new plan to further persecute Lu Xingguo in order to "transform" him. On October 15, 2003, the guards first brought several inmates, including Xu Ping and Dong Wei, known for their brutality to Cell 111. At around noon, Zhang Min locked the cells of all the other Falun Gong practitioners to prevent them from going to the washroom. The inmates then dragged Lu Xingguo, who was unable to walk, from Cell 109 to Cell 111. Other inmates, including Si Daolong, Sui Wei, Wang Daming, Gao Jingdong, Gu Hailun, Yu Yonghuai, Song Yuqi, and others then sneaked into Cell 111 as well. Once the inmate perpetrators were all in the cell, they stuffed Lu Xingguo's mouth with a towel to keep him from making noise, and Zhang Ming shouted, "Turn up the TV, and close the door and the window." A horrible torture started, but we don't know exactly what happened in the cell. After a period of time, the door and the window were opened, and out came the voices of the perpetrators' swearing and Lu Xingguo's refusal to be "transformed" - his voice could hardly be heard because he was on the fringe of death. The perpetrators started another round of torture. In just an hour, Lu Xingguo was killed in Cell 111. At 1:00 p.m., the perpetrators told the guards that Lu Xingguo was dead. Warden Zhu (badge number 3130671) came to the cell and instructed the inmates remove the body. One held Lu Xingguo's head, the other his feet, and they brought his body to the gate of the section. That very night, guard Zeng (badge number 3130586) talked to the inmates, including Sui Wei, Xu Ping, and Dong Wei, about how to cover-up the murder. They spread a lie in the labor camp that "Lu Xingguo had killed himself to celebrate his master's birthday." The most vicious perpetrator was guard Xiang Jianzhong. He coerced the inmates into torturing Lu Xingguo directly, and said, "I have the order from above (to torture and transform Falun Gong practitioners). 5% mortality rate (in the prison) is in the normal range, so we can kill you. We don't care." The guards later lied to Lu Xingguo's family by saying that he had passed away due to illness. They refused the family's request to see Lu Xingguo's body, however on October 17, 2003, the guards requested that Lu Jianguo's brother come and sign a death certificate. The family raised their questions and refused to do so. In addition to telling endless lies about the cause of Lu Xingguo's death, and preventing the family from seeing the body, the guards pushed to cremate the body immediately. When family members arrived at the cremation place as soon as they were allowed, the body was already dressed and the police would not allow them to touch the body. More than 60 policemen were assigned to watch the cremation take place. Witnesses who had seen Lu Xingguo's body told the family afterwards that his face was distorted, the skin on his upper lip was gone, his teeth were gone, his ear skin was wrinkled, his hair was standing straight like needles, his neck was covered in blood, and his body was covered with electric shock marks.